Is there really a symbol that could represent yourself or the work that you do? The Wild Card asked me this along with a slew of other intensive inner reflective questions this month. She also asked me to present visual ideas for this question and allow the Living Chapters audience to vote or select one that they thought might be a good representation my work. Thanks to all of you who weighed in with your votes. The most amount of votes were cast for this symbol. Ironically this is a symbol that I gravitated to in my early years. It would pop up in many of my high school art projects, in letters that I wrote to friends, or doodles on classroom homework and folders. 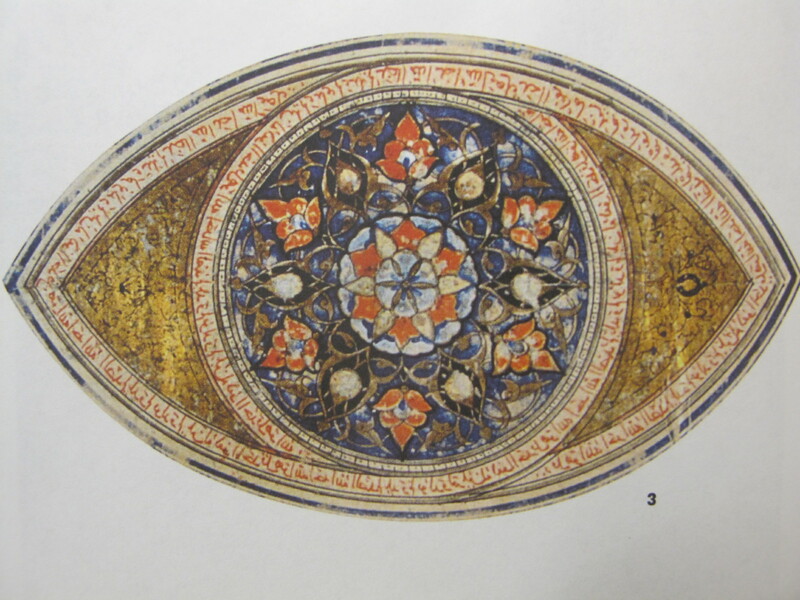 The eye image definitely has played a long-lasting role in my life representing the importance of being awake and being aware. Growing up, I felt that it stood for the ability to see what is right in front of you and emphasized the value of witnessing the world around you. The labyrinth seems very suited to my winding path. Labyrinths are often mistaken for mazes or something that one could get lost within or frustrated with. Unlike mazes though, there are no real dead-ends in a labyrinth only paths that guide you forward. Meandering, yet structured routes, that lead to new destinations. 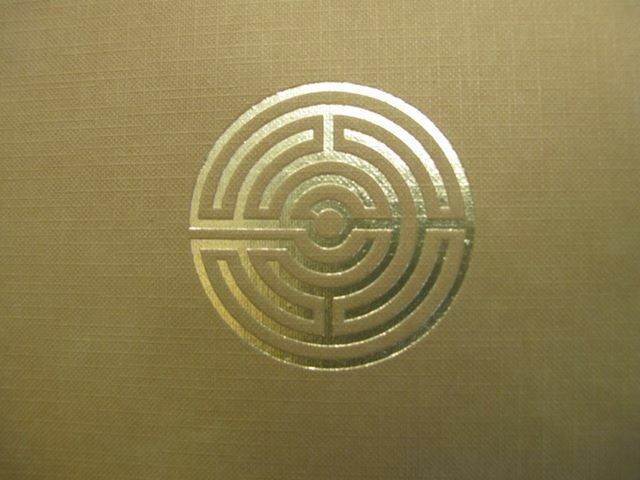 I see labyrinths as tools that can be utilized to practice finding one’s way out of confusing situations. I’ve found myself doing that more than a few times in my work. The overall process of picking a personal symbol has been intriguing. As I noted before, I feel that it is near impossible for any one symbol or image to represent a body of work or in my case what feels like an ongoing evolving path as I build my career. So for this reason, I gravitated to less literally visual symbols. I preferred the linear images that were left open to interpretation but yet held a rich meaning. The Labyrinth, which came in second in all the votes, also came in second when I made my personal votes. I decided that the labyrinth represented how I have moved on my path more than what the work I have done. 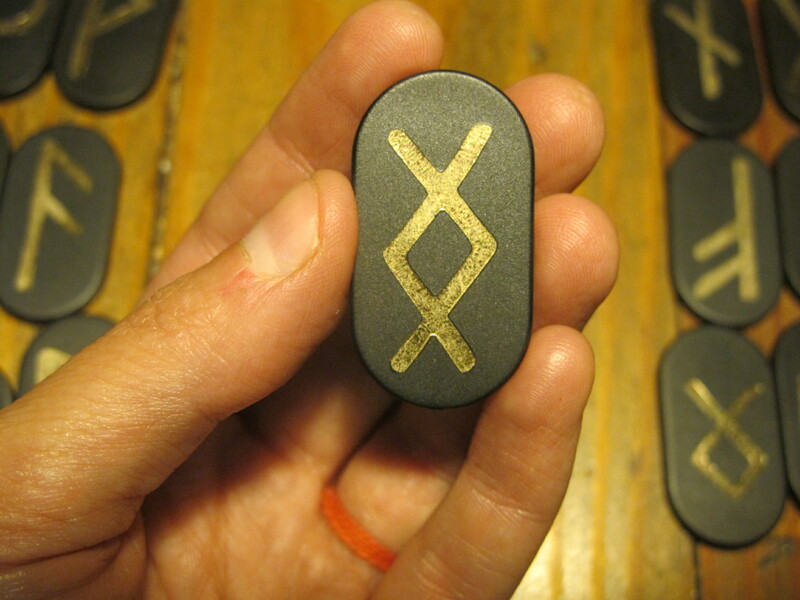 My first choice to represent my work is the Rune symbol of Inguz. It seemed to stand out from the rest of the them visually to me. The meaning appealed to me and seemed to describe the way in which I sought out work and new projects. When searching further into this rune I found this meaning taken from the book “Zen Runes” by Maria Letizia Renzulli. This felt like the closest description to what I do. I work with people, find a personal connection and then mirror back that connection by framing their story within a photograph, audio story or interactive program that allows those that I work with to hear themselves and share in their own way. I don’t create new things. I simply witness the existence of them and highlight the importance and value to sharing them. I can’t help but agree with Steve. I am still unsure of how and where it will visually show up on the website, but I have a few more days to figure that out. Just finding this blog today? Read the prologue for more details on what Living Chapters is all about. This entry was posted in Chapter two, Protagonist Post, Uncategorized and tagged archetypes, Book of Runes, eye symbol, Inguz, Labyrinth, Ralph H. Blum, Religion and Spirituality, Rune, Symbol, symbols, The Book of Runes: A Handbook for the Use of an Ancient Oracle: The Viking Runes with Stones: 10th Anniversary Edition, wild card on July 29, 2013 by Beth Barbush.